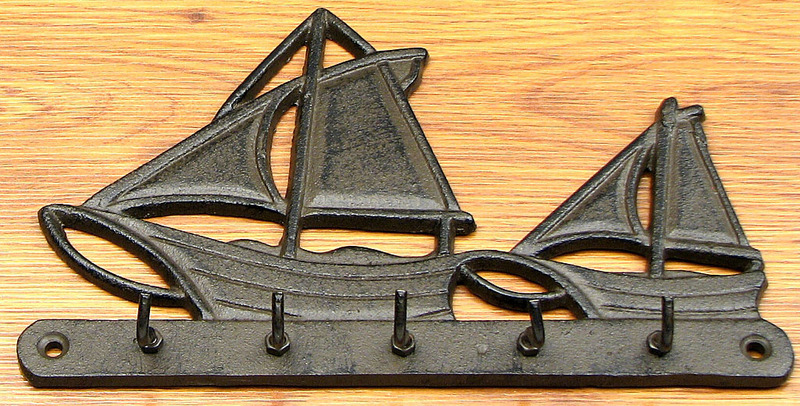 Cast iron Sail boat key hook. Great for the sailor or beach lover. Measures: 5 3/4" H. x 9" W x 1 1/4" D.